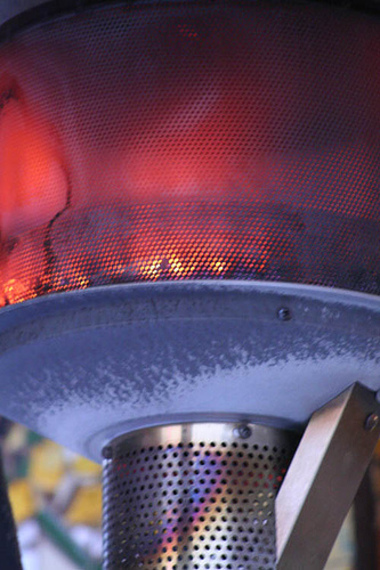 Careful observers will notice a few new features on the blog. I've added some widgets ... cute little functional rectangles where you can do something fun. Specifically, I have added a nifty little widget called "Blog Beg" where you can make a donation to Upright & Stowed, helping cover the exorbitant costs of publishing. Actually, my blog costs are fairly low. And I don't really need your dough to keep on blogging. But if you are feeling generous, or if something I've written moves you, humors you, makes you think or makes you mad, feel free to pitch in. So far, I've raised the whopping sum of $0. More interestingly, I've added widgets on the right side featuring some of my favorite travel-related products. If you are in a buying mood, click on the link in the widget and it will take you to the store with the lowest price I could find for the item. You'll love anything I'm promoting, guaranteed. Plus I get a teensy commission on the sale. Everyone wins. Am I a sell out? No. It's just the American way. Speaking of which, these people make me sick. They're hypocrites, and I'm embarrassed that many of them are, like me, Jewish. Obviously I am in an airport, getting ready to go somewhere. But the question is: In what country is this airport located? Frankly, your only clue from this picture (unless you're an expert in airport furnishings) is the logo on the aircraft through the window. The year? 1995. Want another clue? If you've been diligently reading international news this week, you've read about political happenings in this country. Good luck, entrants. Sep 27, 2007 10:49:33 AM | Where Am I? 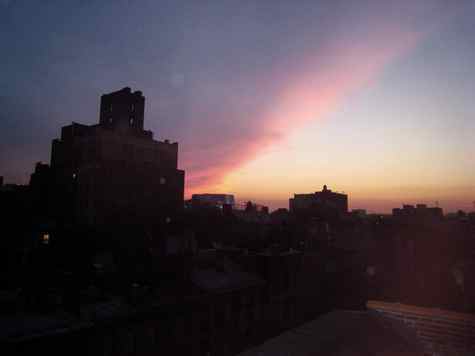 I'm posting all sorts of NYC-centric news these days because early Autumn is one of the most wonderful times of year in the city ... and because I am here to enjoy it, without any upcoming travel plans. I love the feeling of jumping on my bike in NYC. But entering Ninth Ave always stresses me out because there is no bike lane. Today's New York Times delivered the fabulous news that the city is building an innovative, totally buffered bike lane on Ninth Avenue between 23rd and 16th. Some are even calling it the "street of the future." This is a rendering of what it will look like. Oh happy day. My life just got a notch better! The view from my deck, during the last few moments of summer, 2007. Sigh. 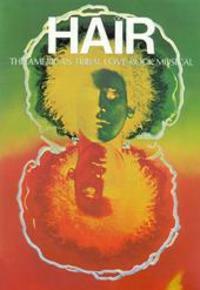 In October 1967 Hair – the American Tribal Love Rock Musical – opened in New York City at The Public Theater. On Saturday, Sunday and Monday of this week, the Public is putting on 3 free performances of Hair in Central Park, at the Delacorte Theater. I'll be there on Monday night (I made a $100 donation to the Public and got a guaranteed seat ... good deed and good reward all in one). Finally, can you name which of Hair's fabulous songs these lyrics are from? I don't have a burning desire to move to Canada. But this weekend I felt like it, as I watched Rhona and Jen (along with soon-to-be Baby Sophie) tie the knot and officially become a married couple in Toronto, Ontario, Canada. Here are the brides working the post-nuptials dinner party. The bump in Jen's tummy is, of course, Sophie. I know that NYC would legalize gay marriage given the chance. But if your country doesn't recognize your marriage, your state or city recognition only takes you so far. Love is love. And I was very happy to celebrate it this weekend, even if I had to take out my passport to do so. I woke up this morning in Toronto, Canada. I haven't been to Canada in 8 years. Above is the headline from the print version of today's Toronto Globe & Mail. Question: Do you ever feel that the U.S. dollar is at its "weakest level in years" versus whatever currency is used wherever you are visiting? 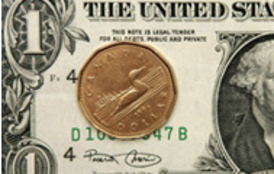 I'm off to buy a $1 (Canadian) Tim Horton's donut for the bargain price of $0.97 U.S. If I buy three, I can save almost ten cents. Oh happy day! Actually, since it is spectacularly gorgeous today in Toronto, it really is a happy day! If I had to pick a 3-letter airport code, XYZ would be at the top of my list. And YYZ would be pretty much at the bottom. Um, YYZ? What the hell is that about? 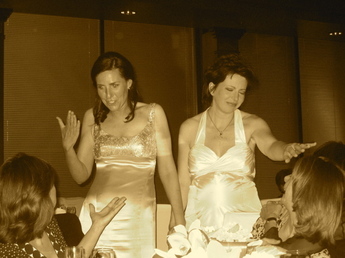 This weekend I'm flying to YYZ for a big, fat, Jewish, shotgun (kinda sorta) lesbian wedding. Yep, I'll be in Canada, where the sane citizen's recognize that two girls who love each other should be able to stand up in front of their friends and families and say "I love you!" ... and then get treated the same by their province/state and country as a boy and girl doing the same. I'm really looking forward to exploring Toronto for the first time in 12 years ... and to hearing Rhona and Jen take their vows. I can feel the tears rolling already. And it's the Toronto Film Festival to boot! I'm sure you are totally over my Burning Man pictures. But this has been a pretty hard week so far (all work related), so here is a shot of me taken a week and a half ago, when I was much much more smiley. The shot was snapped just as the "replacement" man was starting to go up in fireworks and flames. 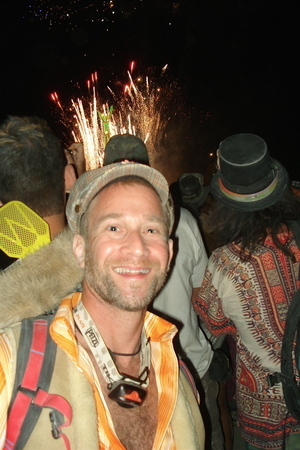 I was dressed in my Pimp-Meets-Newsboy getup, and I thank Erika, my Burning Man date this year, for the photo.